Kenzo World EDP*: Fragrance has definitely been something I've been drifting between during September. This new scent from Kenzo is one I keep coming back to. Floral, light and rather lovely if I do say so myself. That gorgeous eye shaped bottle is difficult to resist too. Ring Cone x Claybird Ceramics: Isn't this exquisite? I've been eyeing up ring cones for a while, usually online and haven't wanted to buy one. Simply because the idea of one arriving in the post, crushed to smithereens by less than gentle post staff crossed my mind one time too many. Anyway, this month Claybird Ceramics had a pop-up stall inside Ponsonby Central and given this combined many of my favourite things; dots, gold, navy, it would have been rude to ignore it. I don't know what to say other than it is beautiful and it keeps my rings in one place. Mecca Max The Illuminati Shadow in Showbiz: Glittery, cream shadows are my weakness. That's no secret around these parts. I decided to give Mecca Max's own brand ones a go to see how they deliver. They definitely do not disappoint. What I will say though is because these go from a cream to a powder finish quite quickly you do have to be quite fast applying them. That being said, it's the kind of formula that is easy to apply and layer on top of. Showbiz is a coppery, rose gold piece of perfection. I reach for it several times a week now when I'm deciding what makeup to wear. Stardust Sunglasses x Glassons: I've only just discovered the name of these sunnies and I love it. I don't usually go into Glassons but I wanted some cheap eyewear I can just throw on when I go out on my breaks and vice versa. I like that they're a bit oversized, have a slight yellow-y tint to the lens so everything looks a bit more sunny and make me feel cooler than I am when I wear them. They also give me John Lennon vibes too which I am never going to complain about. Drying Lotion x Mario Badescu: Apologies for the lack of links here, blame my Internet for being temperamental. This truly is a hero product and I am so glad Kylie Jenner bought it to my attention. During her year of realising stuff if I remember correctly. Thank you KJ and Snapchat. Anyway, this solution, which you apply to a cotton bud and then on to blemishes works wonders. Seriously, it renders most pesky blemishes invisible in twelve hours. I've had to use it a couple of times to banish more planet-like ones but I can't complain when it gets rid of them so easily. Absolute lifesaver if you want to get rid of zits without popping them. Gross but true. Conversations With Friends** by Sally Rooney: First things first, this is a debut novel by a twenty-something. I'm not sure why that blows my mind so much. 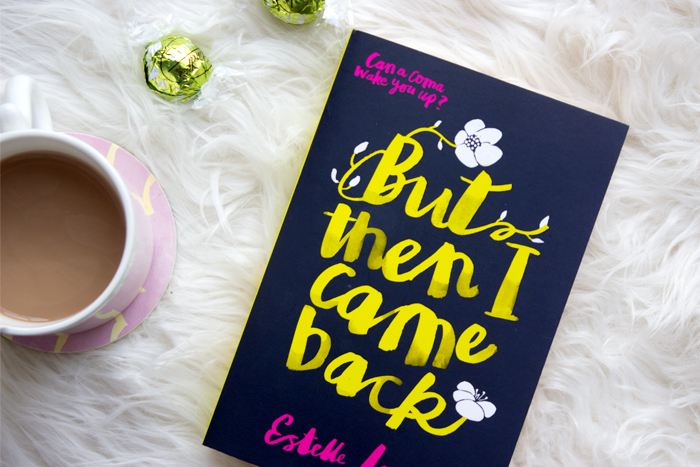 The story of Bobbi and Frances, two 21 year olds on the verge of graduating University. Frances is an aspiring writer and Bobbi is her former lover and best friend. The two are profiled by renowned writer Melissa and introduced to her actor husband Nick and a world of adult sophistication and ideals. As the title would suggest, the book centres around conversation. The intimate intricacies, the symbolism in the silence, the way in which lingering on a phrase or talking point can communicate so much. All of the characters are flawed, mistake-makers and discovering their destiny and in turn themselves. It's such compelling reading and I've loved being absorbed in its pages on my train trips this month. Something To Tell You x Haim: It took me a long time to listen to Haim properly but now I am fully on the bandwagon. Their latest album reminds me of parties and evenings with friends. Going through all the motions, the changing patterns of the light as candlelight flickers in swirling shadows on the walls, the deep and meaningful banter. It's just a brilliant listening fest all round really. 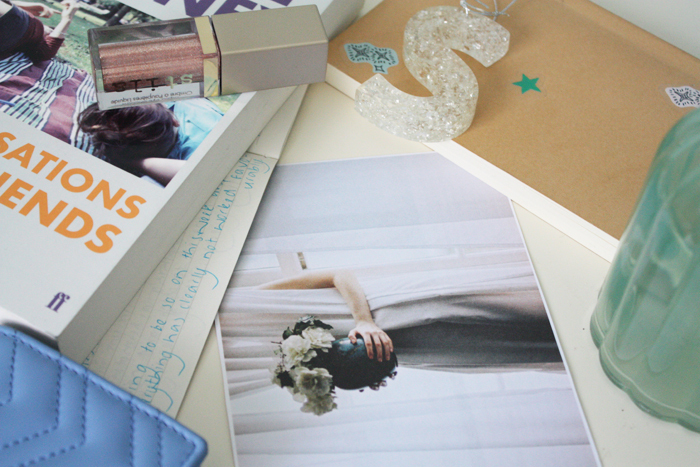 When I talked about doing a guest post swap with Sophie I knew straight away I was going to talk about books. While Sophie and I have a fair bit in common, including our names, the main thing we discuss is books. The thing is though, we have very different tastes in books. I wish I could read all the fancy memoirs and non-fiction type books she does, but I just can't. Not that I'm saying she doesn't read other fiction books, you're her followers you know she does! I feel like I'm forever going on about these books, but as you're not my audience (some of you may be though hi) I'm going to talk about it again. Mainly because they're great books, but also because Sophie couldn't get into them so maybe this will convince her to try again! It's your regular fantasy/supernatural type story, however, it's unlike any I've read before. Nowadays there's a lot of wizards, vampires, and demon type stories, but I haven't found one like this. If I say it's about faeries you'll probably mark this as a no already, but these aren't the twirly pixie type faeries in kids books, these are High Fae. Basically, the second and third books of the series are much better than the first so if you can make it to those you'll love it. If you need a more in-depth review, I have one here. Sophie's probably going to kill me for this, as I know Amy is one of her faves, but I've only a few months ago finished reading Yes Please. *Hey it's Sophie aka ME jumping in here. Sophie, you are off the hook. I have tried to push this book onto a few people now and haven't succeeded so the fact you read it pleases me immensely. * I knew everyone who had read it in the past loved it, but the thing that was putting me off was the fact I haven't really seen much of Amy's work. I've barely watched any SNL episodes or clips, and I've never seen an episode of Parks and Rec (I know I need to change this), so I just didn't think I'd enjoy it. Again, another series I feel like I've been harping on about a lot recently but it's another series that has been around for a while that I knew I'd love. I just didn't get around to it until last month, where I read all five books. Gods, Demigods, and Beasts all based in New York; what’s not to love? While there’s so much action going on throughout these books, I wouldn’t call them action books. I hate action, but I loved this. There were only a few pages of fluff throughout the entire series and placed strategically to give you that small breather before the next big ‘actiony’ part. Trust me, okay? Read them. This is a sequel to the book ‘This Raging Light’ although it took me until I was about three-quarters of the way through to realise this. I knew they were by the same author, but it took until that moment for me to go ‘oh that flashback sounds familiar what’. While the sequel wasn’t as good as the first, as most sequels aren’t, I thoroughly enjoyed this book. I took it away with me to Rarotonga and basically demolished it in a day crashed out in the shade by the beach. While it leads on from This Raging Light, the protagonist is different, the best friend of This Raging Light is our new storyteller and introduces us to a rather different way of viewing the people of these books. You can see why I didn’t realise it was the same people, especially as I read This Raging Light earlier last year. If you haven’t read either, do it now. Now I promised Sophie my top five books but seen as I’ve included two series that technically total us out at ten books I think we can deal. Especially as I haven’t actually read anything else that I’ve enjoyed as much as these, I don’t want to recommend books for the hell of it! Thanks Sophie for sharing your top five reads! Sophie, as well as having an awesome name also has a spectacular blog called Sofilly. You can also give her Instagram, Pinterest, and Twitter a nosy too. Hello, happy Monday. It's been a whole entire week since I blogged. Spending the better part of a week without Internet and only shoddy hot spotting c/o my phone at the best of times will do that. I apologise and I am back now with a fresh lineup of posts, starting today with this one on things I've read on and offline during September. There's also a guest post coming on Wednesday so keep an eye out for that one too. Anyway, here's some of what I've been reading during the month. What Happened x Hillary Clinton: It feels like the last presidential election was an entire lifetime ago but it hasn't quite been a year since it happened yet. Anyway, when I heard Clinton was releasing a new book, set to be her most candid yet, I promptly requested it from the library. By the time you read this post I will either have just finished it or be coming close to finishing. It has not disappointed. As well of course as the intimate insights, it's really illuminated many of the problematic sides of the election; media involvement and spin, Russian interference, misogyny among countless other things. A lot of the backstory to the campaign to derail Hillary wasn't covered in much detail by the local media here so I found those insights particularly fascinating, albeit frustrating. Well worth the read, even if at times it's a bit depressing given the eventual outcome. The Perks of Being a Wallflower x Stephen Chbosky: I had intended to revisit Gone Girl this month but decided I wanted something not quite as heavy instead so I opted for this. The Perks of Being a Wallflower is one of my all time favourite novels. The way in which it describes the teenage experience but also delves into some darker issues is so well done. I also love the references to mixtapes, literature, Stevie Nicks, Rocky Horror, The Beatles and of course kids living life on their terms. As someone who never felt like they fit in during high school, this book is like a breath of fresh air. I do kinda wish I'd read it at that time because it might've put some of my experiences in a new light but in hindsight I am glad I discovered it when I did. Creatives Reading x frankie magazine: My love for frankie is incredibly well documented so I will keep this brief. The latest issue, number 79 contains a feature with creative types from Australia and their book recommendations. Georgia Perry (one of my faves, if only for her gorgeous pins) and Benjamin Law are just two of the peeps featured but the whole thing is worth looking at. As is the issue so grab yourself a copy. It's the flora and fauna adorned beauty currently on newsstands. Questionable Intimacy x Makanaka Tuwe: In my quest to support more local writers and talented wordsmiths I grabbed this on a whim in The Bread & Butter Letter. Wondrous, magic and a candid account of the self love journey. It's also a celebration of womanhood and black girl magic. Go get yourself a copy and prepare to be enchanted. Serial Book Clubbing: Laura's written this fantastic article on book clubs for Book Riot and I had to share it here. At present I am currently in only digital book clubs but I yearn for something more. Coffee, wine and banter with likeminded people perhaps. Passionate discussion about the words we love or loathe. I actually have a picture in my phone of a book club's flier I saw advertised so I seriously need to look into it. Alternatively, Aucklanders if you know of any good book clubs around that will accept someone who likes a hefty amount of literary banter, sing out. -What have you read in September? One thing that really helps to brighten my mood as well as unpack the ideas in my head is journalling. Not on a screen, on paper. It's why I carry around several notebooks everywhere and in a large part I credit writing with keeping me levelheaded. At least I think and hope it does. 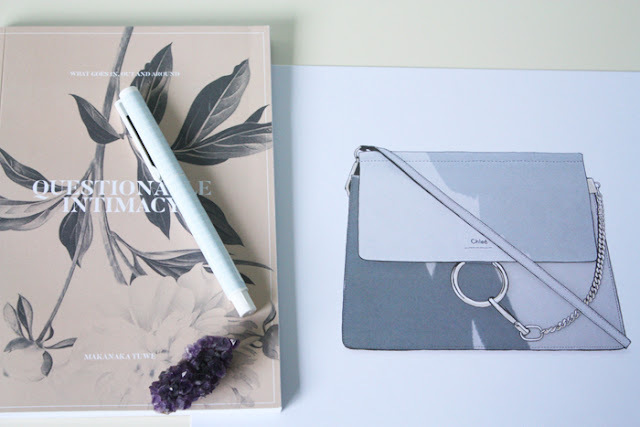 Today I thought I'd talk you through what I call my good vibes journal. Each day I try to write down a list of five positive things from the day. It could be something simple, like the way the sun shone down on the pavement as I walked to get my train, or a compliment someone paid me. I have been doing this on and off for years but more recently since the 15th of June, in the above Muji notebook you see. It is now just over three months since I started this so I thought I'd share with you a list of twenty things from those many days that are just positive anecdotes at their simplest. Idk if this is a lame post but I love reading these little life musings from people so maybe some of you will as well. Anyway, list incoming as well as the dates..
15/6: Reading Caitlin Moran's holiday tales at the carwash. 23/6: Winning tickets to see Tim Minchin! *Side note: This was amazing. 5/7: Learning effective new mindfulness techniques. 7/7: People saying lovely things. 14/7: Long chats with E.
24/7: Feeling smiley at work. 2/8: Listening to Alexandra Shulman being interviewed by Richard E. Grant for Penguin & Jennifer Saunders on the Glamour podcast. 10/8: Engaging in fashion themed banter with L.
20/8: Reading and underlining passages I connect with. 22/8: The song Younger Now x Miley Cyrus. 25/8: Exploring the Winter Gardens with Emma. 29/8: Feeling confident rocking minimal makeup. *Side note: In honesty this confidence thing I'm struggling with a bit at the moment so it's definitely going to take time. 4/9: Vodka Daisies. *A drink at Bedford Soda Co. that I love. 9/9: Seeing Matilda at the Civic. 11/9: The twinkling lights out the train window at nighttime. 3/7: Reading Frankie magazine during the power cut. 1/8: Lovely supportive blog comments and emails. 16/8: The in-depth article on feminism in Lula, Volume 16. // Willow in a floral Jumpsuit x andsmilestudio: When I saw this on Etsy initially it made me smile and I just felt like it was so 'me'. Florals, red lip, messy hair. There's just something about it that I find so magnetic and captivating. The lovely Viktorija also threw in some of her illustrated cards as well, including a miniature of this which I keep in my diary. It's just exquisite and I am so happy with it. 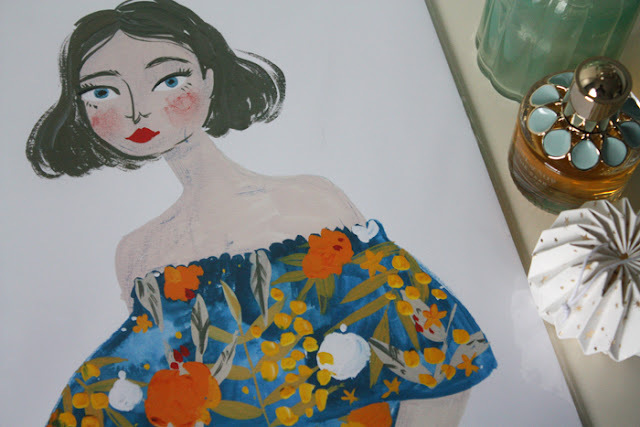 // Hold my bag x Studio Bon: Local illustrator Bonnie has fast become one of my favourite illustrators for her beautiful fashion and beauty illustrations. 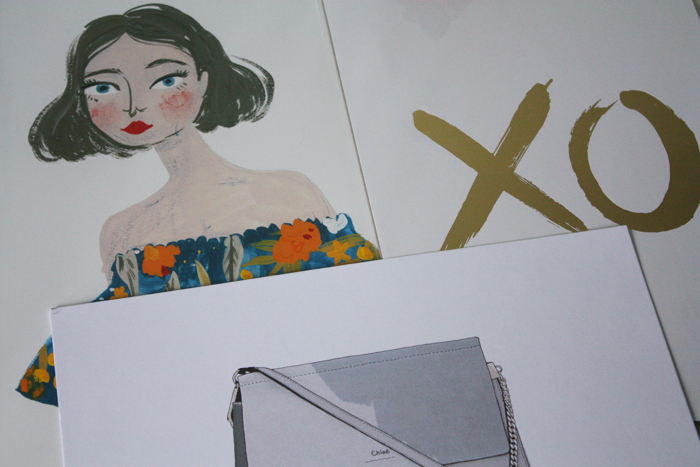 When she opened her own shop I knew I had to grab something and this Chloe Faye bag illustration was it. It is going to go beautifully with the colour on my wall, it's a similar albeit muted shade. It will also tide me over because the reality of me owning the real deal is unlikely unless I ever win the lottery. This Diptyque illustration is also stunning as well. 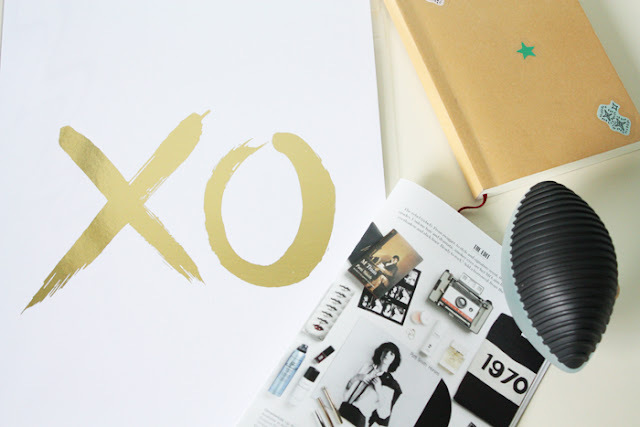 // XO x Maiko Nagao: How gorgeous is this custom foil print? A couple of weeks back I was invited to skincare brand Trilogy's 15 year celebrations and this was in our goody bag. Along with a rather scrumptious cake from The Caker. Despite my love of metallics, it's actually not a feature of any of the other prints I have already so I'm looking forward to getting this up on my wall. Sparkles and shine are such mood raisers for me. -Where are your favourite places to find new prints? Groundbreaking. Meryl Streep voice. Miranda Priestley style Prada bag drop on the intern's desk. Okay, Devil Wears Prada references aside, a changing of the seasons naturally calls for a change in scent. Out goes the musky, deeper notes in favour of something lighter and fresher. We are certainly spoilt for choice at the moment, with many of these fragrances releasing within the last month or so. 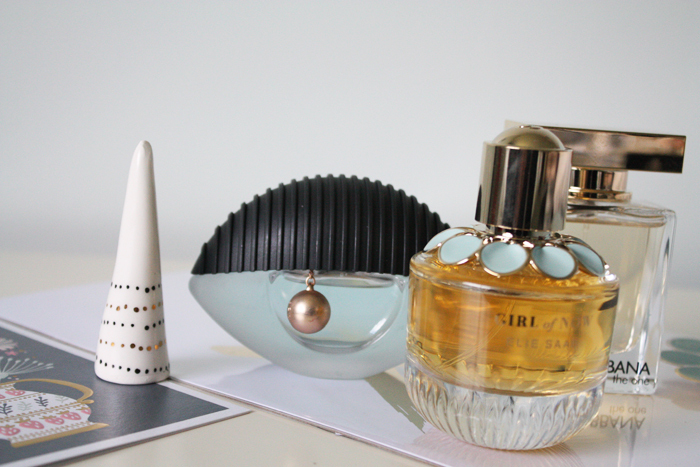 Here's my pick of some of the new and exciting fragrances to add to your wishlist/pay day treat session. Girl of Now* x Elie Saab: Elie Saab has absolutely nailed what I love in a Spring fragrance. Fruity, with a hint of floral and deeper base notes, courtesy of tonka bean and almond milk. It is definitely a scent that packs a punch but it is very different to anything I have spritzed before and I am smitten. I'm not going to lie, the design for this bottle and its corresponding packaging have totally won me over as well. Can you blame me? Just look at the pictures here. Gabrielle x Chanel: Chanel is a design house responsible for many icons, from the quilted 2.55 through to their instantly recognisable perfume bottle designs and imagery. Last year they bought us a lighter, more youthful take on Chanel No. 5, L’Eau and this year they have Gabrielle, named for the brand’s founder. I spritzed this on counter when it released a couple of weeks back and it is exquisite. You can read up on the backstory of this one here. 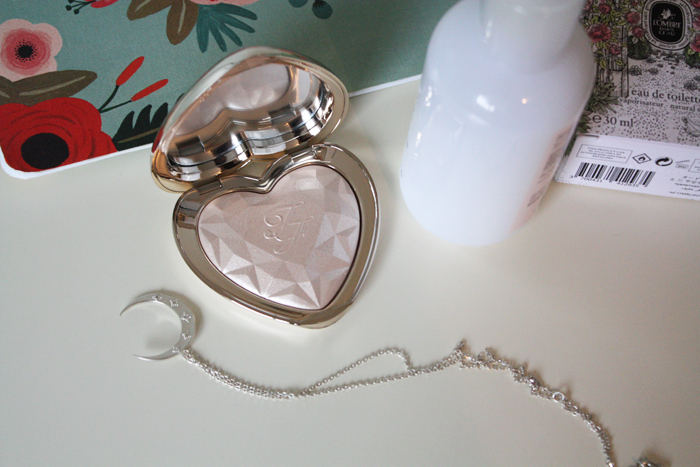 I really liked it on first spritz, it reminded me of a lighter, fresher take on Mademoiselle. I'd need to spritz it again though because I can't remember much beyond that. Reasons to not go fragrance researching at the end of a long day, #1. Kenzo World*: This is another fragrance that has totally won me over. I have a bit of a thing for eye motifs, ever since I had an evil eye bracelet given to me that I wore until it literally snapped off and ceramic eye beads went everywhere. Anyway, you may well be familiar with this advert which did the rounds when it first dropped. I think it's played on tv here too. Anyway, the fragrance itself is floral yet light. Are you noticing a theme here? With top notes of peony (my favourite), middle notes of jasmine and then base notes of ambroxan it is intoxicatingly wondrous and captivating. Dolce & Gabbana The One*: The One is by no means a new fragrance but this lighter, fresher interpretation looks set to win over a new generation of fans. I love the campaign imagery featuring Emilia Clarke. D&G's original The One fragrance is so classic and nostalgic for me as one of my friends favours it as their scent of choice. 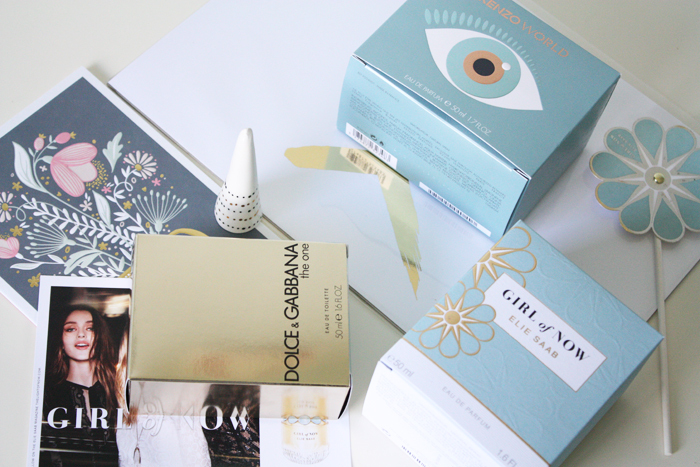 Lily, lychee and musk are just some of the standout notes. I'm sure some people might class this as an evening scent but I like to wear it whenever. It's incredibly long-wearing too. As I write this at night I can still catch hints of the fragrance on me, after spritzing it in the early hours of this morning. -Have you tried any new fragrances lately? British Vogue: Ahh BV, my longterm paper lover. This issue is particularly significant and in many ways bittersweet, as it is the last issue under Alexandra Shulman's editorship at the magazine. 306 issues in 25 years is quite a feat. To commemorate this, there is a full fold-out spread of every single one of her covers. I'm still trying to work out which was actually the first one I remember seeing. 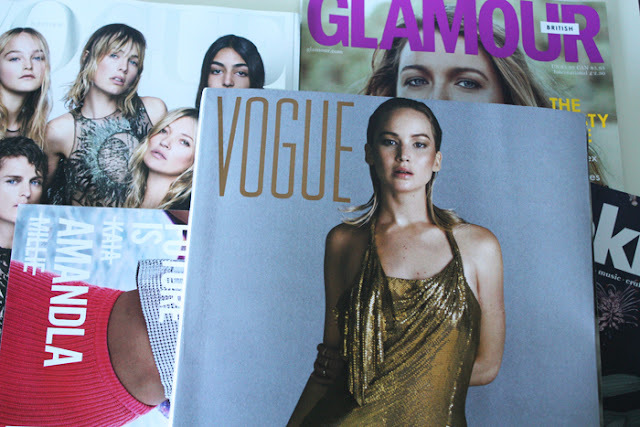 The cover also features a mix of iconic models, most notably Kate Moss who often paired with the magazine for iconic covers. Last year's Rolling Stone tribute for one, another with Bowie inspired makeup, one from 2008 encased in a layer of cream tulle, the latter which I actually own. If you grab one September issue, make it this. It is a treat in every sense of the word. Frankie: While not strictly a September issue in the fashion-y sense of things, I couldn't not do a post about magazines and not use it as another opportunity to mention one of my all-time favourite publications. 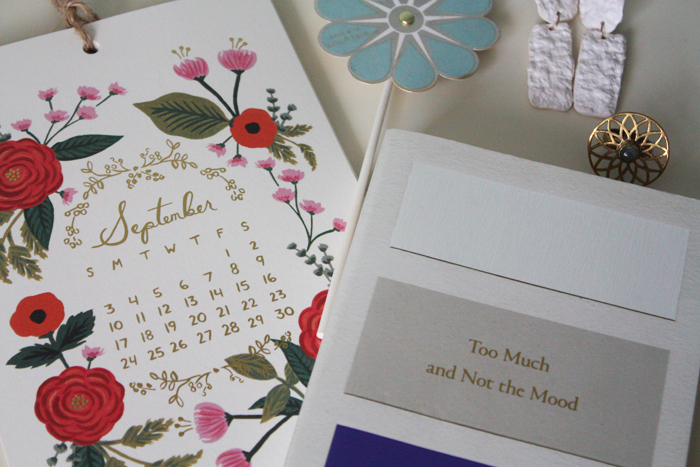 Frankie's August+September issue is laden with a bunch of awesome content. 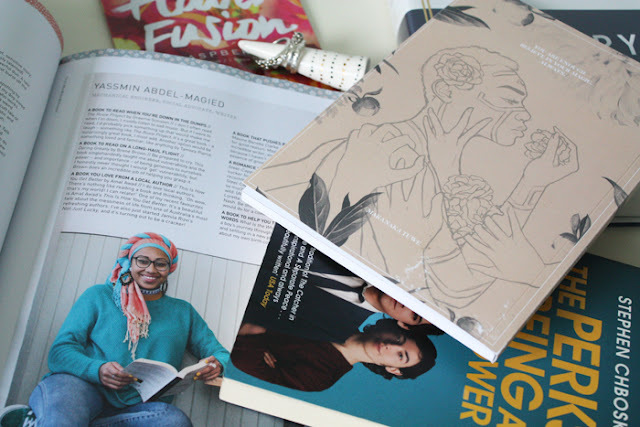 One of the best features for me was finding out what books Australian creatives love and have inspired their work+identity. There's also a handy, and beautifully illustrated guide to Australian plants, a tribute to Susan Sarandon, an editorial dedicated to one of my favourite places; bed and plenty of witty copy to keep this Frankie fan incredibly happy. 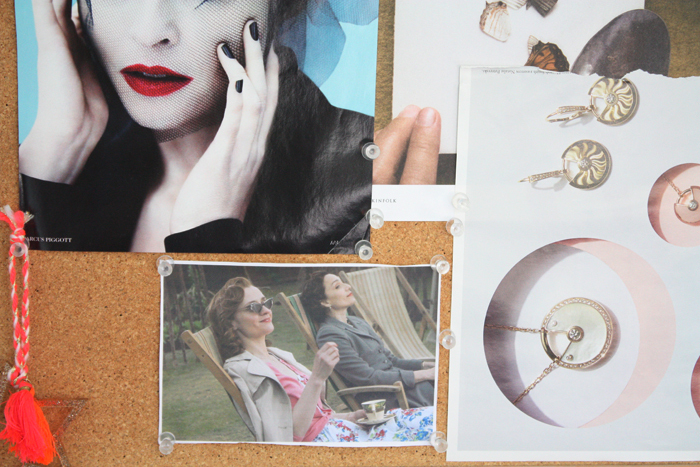 American Vogue: The September issue, if ever there was one comes produced by Anna Wintour and her team. This issue clocking in at around 600 pages, a good hundred or so are ads FYI, commemorates their 125th anniversary. It's covered by Jennifer Lawrence in a series of images, the international edition seems to have the moody, Statue of Liberty backdrop on it. There is also this gold beauty above, by Inez and Vinoodh I believe as well as a couple of other choices. Iconic cover choice aside, there is also stories devoted to US Vogue trailblazers, Cindy Crawford being one but also current favourites like Kendall Jenner and Gigi Hadid. It's definitely more of a visual magazine to flick through rather than read, at least the September issue seems to be more about photos than anything else. Like a grown-up children's book for fashion lovers. Glamour UK: My reaction to this cover, cheekily out of shot was "Yassss Blake/Serena/Bridget". Extremely uncool but justified. This is their honesty issue, timely given the current state of the world. As always, it is packed with inspiring content, fashion and wardrobe ideas aplenty and some of the best beauty pages around. A++ worth grabbing when you see it in the supermarket or newsagents. Teen Vogue: This time of year, well October actually signals the arrival of Teen Vogue's Young Hollywood issue. Due to Teen Vogue's revamp though it has been reframed as the Icons issue and is covered by; Amandla Stenberg, Millie Bobby Brown (ELEVEN *insert waffle emojis and heart eyes here*) and Kaia Gerber (aka Cindy Crawford 2.0). One of my favourite features was a column by Lauren Duca about why we can care about politics and fashion and not be slammed for it but I also enjoyed Millie's interview with Drew Barrymore as well as the editorial featuring up and coming acting talent as well as sporting stars too. 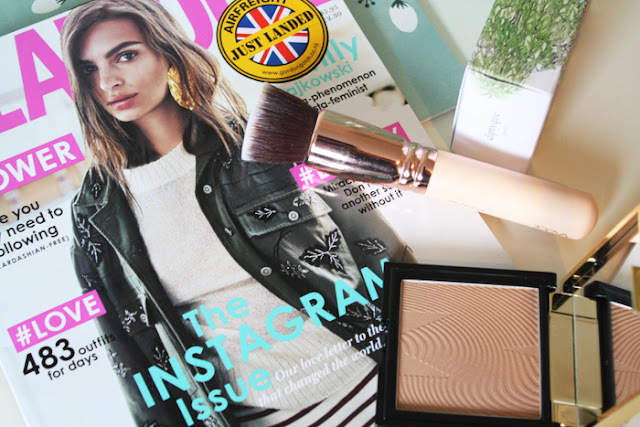 -Have you read any of these magazines? Which will you be adding to your lust list?